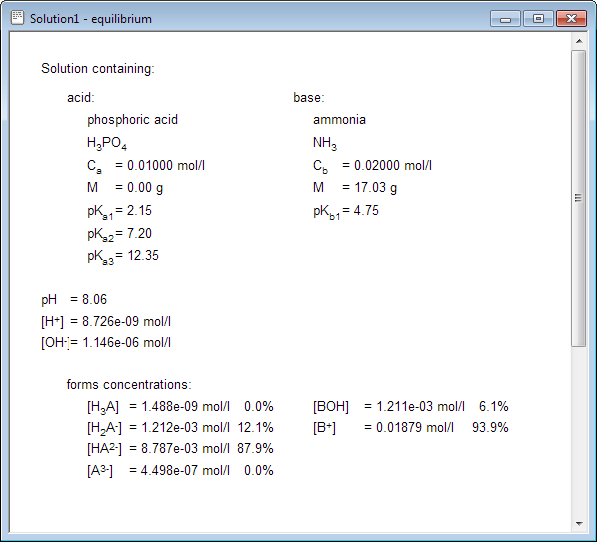 BATE pH calculator is able to calculate pH of solution containing weak acid and base of up to four dissociation steps. While that's main task, program's applications doesn't end here. As you see, in 0.01M solution of carbonic acid CO32- activity is pretty small - 5.6×10-11 - assuming pKso=8.4 it is unlikely CaCO3 will ever precipitate (unless the pH of solution will be changed by some other means). 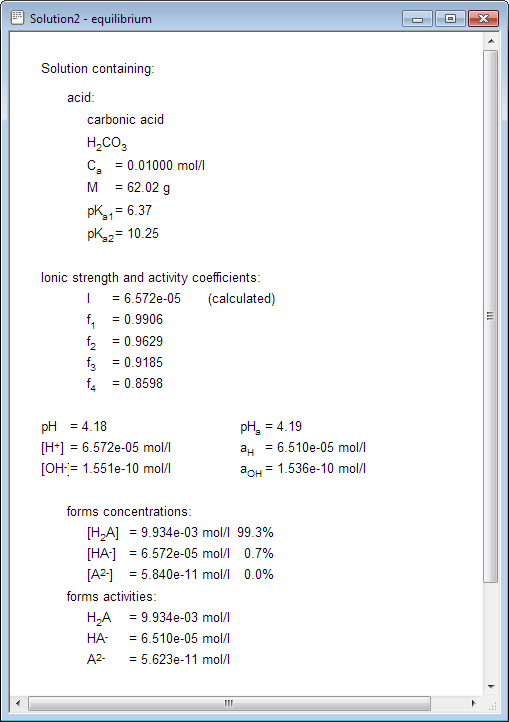 Program displays all kinds of information available - starting with used dissociation constants values, through ionic force and activity coefficients (if they were forced or calculated), ending with all equilibrium concentrations (expressed both as absolute numbers and percentages) of all ions created by dissociating acid and base. All these values are presented for your convenience and can be used to understand what happens in the solution or in other calculations. For example thanks to displayed percentages of total concentration it is obvious that in 0.01M solution of carbonic acid in equilibrium undissociated form is dominating. As activity coefficients are charge dependent (see lecture on ionic strength and activity coefficients for more detailed information) displayed values can be used to calculate activities of other ions present in the solution. 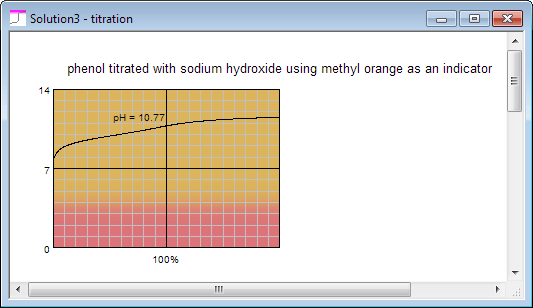 pH calculator is also capable of calculating acid base titration curves. 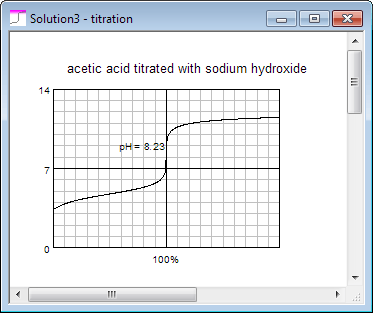 Acid base titration curves are often used as examples of sigmoidal titration curves in general. However, often when planning experiment of weak acid or base determination, it is worth to look for the acid base titration curve to choose indicator, or just to check whether pH change near the end point is large enough for reliable results. With obvious conclusion that the latter can't be determined with acid base titration.